Information: Carol Freeman, historian and performer of Jewish song. First introduced to Yiddish song by her grandmother, Carol Freeman has been actively involved in its research and presentation since 1977, when she was selected a vocalist for the American Jewish Congress' CETA Artists' Project. Keenly aware of the extraordinary value of folk artistry and sensitive to the intricacies of traditional vocal expression, Carol has approached Yiddish song with a unique focus. Choosing to learn her songs directly from Old World singers, she has developed a repertoire that includes old, rarely heard ballads as well as the better known sing-along tunes. She has sought out the most beautiful of melodies and poignant of stories, and has used her musical expertise to make the subtle embellishments and vocal inflections of traditional Yiddish singers her own. 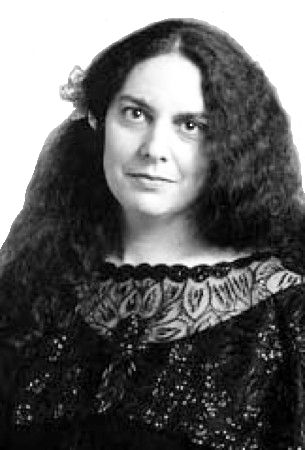 Carol has received many awards to study traditional arts, including a 1985 New York State Council on the Arts Folk Arts apprenticeship with Master Yiddish singer, Bronya Sakina. She has also worked as Field Researcher with immigrant Yiddish singers for the Federation of Jewish Philanthropies' 1982 Festivals of Soviet Jewish Traditions, and the Center for Traditional Music and Dance's 1998 and 2000 Soviet Jewish Community Cultural Initiative Nashi Traditsii Festivals.